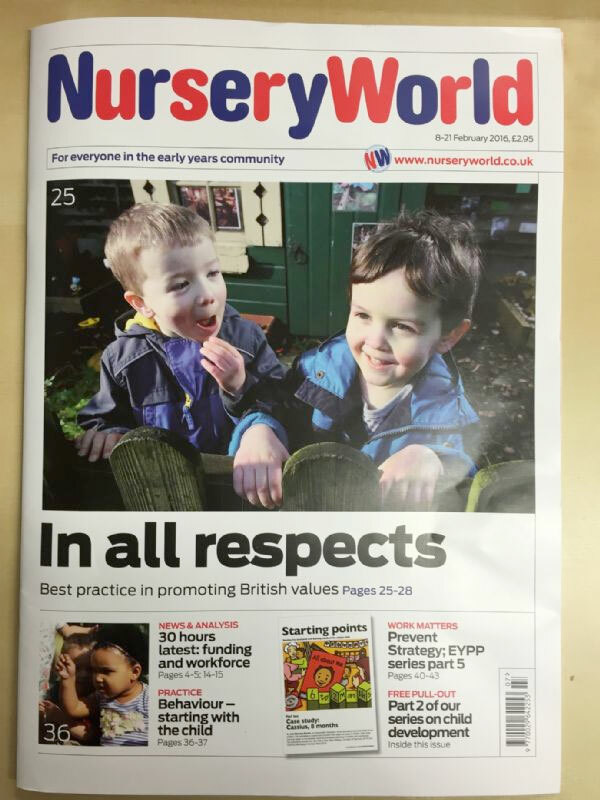 Elmscot Group features on the front page and as a case study in this week’s issue of Nursery World. The case study examines how the Elmscot Group promotes British values: democracy, the rule of law, individual liberty, mutual respect and tolerance of those with different faiths or beliefs. Click on the image below to read the full article and the case study. All article photographs were taken at Elmscot Day Nursery.